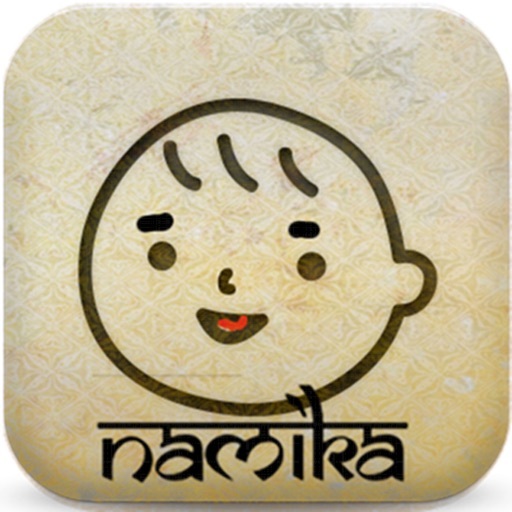 Namika App Data & Review - Lifestyle - Apps Rankings! 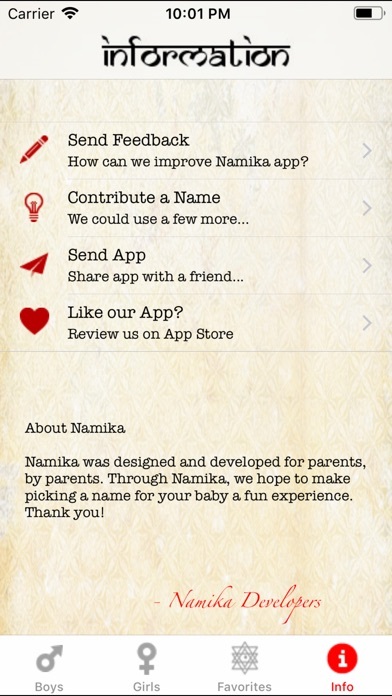 Namika was designed and developed for parents, by parents. Naming your baby is one of the first steps in parenting, and we are excited to make that a pleasurable and fun experience. 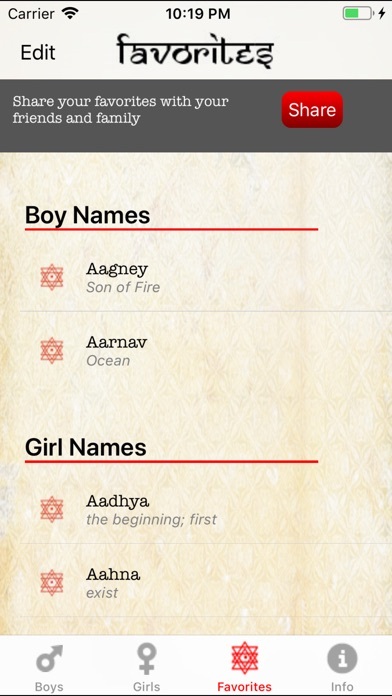 Our app provides a comprehensive list of great Indian boy and girl names to choose from. 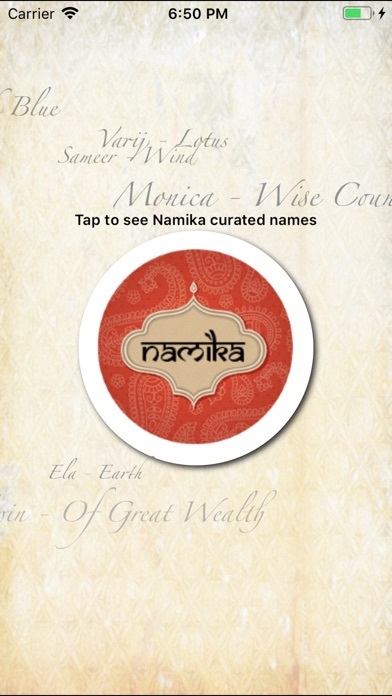 The applications Namika was published in the category Lifestyle on 2019-02-09 and was developed by Shankar Sripadham. The file size is 15.39 MB. 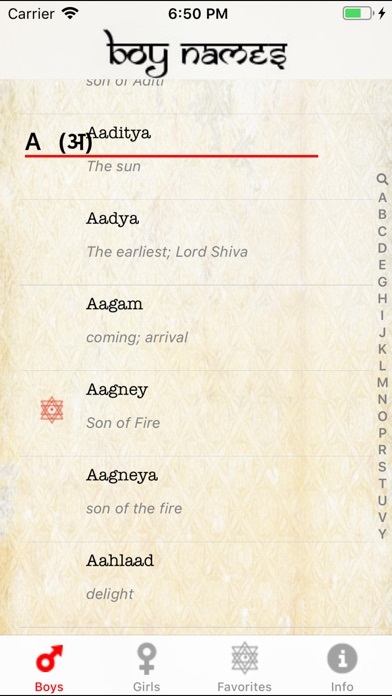 The current version is 1.0 and works well on 7.1 and high ios versions. 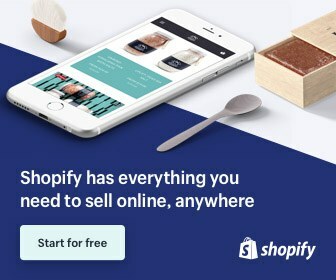 Do you like Namika applications? Please share!